I just was not in the cooking mood today, so meal prep was a little more sparse than usual. Salmon, baked carrots & kale Caesar salad with Barefoot Contessa dressing <– made for V-Day and we have leftover dressing and tomatoes! Do you plan out dinners or just wing it? 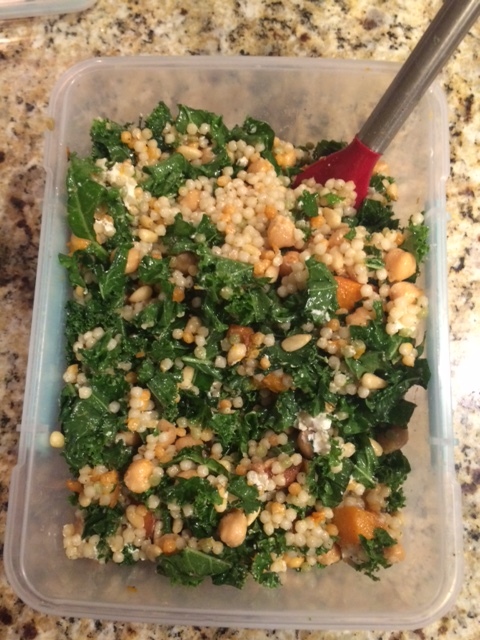 That kale salad looks delish!! I may have to re-create!